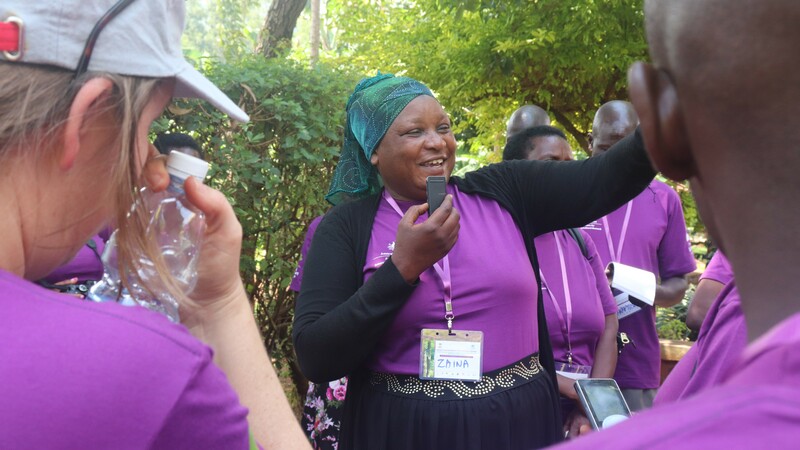 At the time of our 2018 Annual Conference, social media around our event was being mixed with word from the Landcare Facilitator training that was underway in Uganda. Crawford Fund support for Landcare training isn’t new. Previous Landcare training was held in Zambia in December 2016 with positive outcomes. 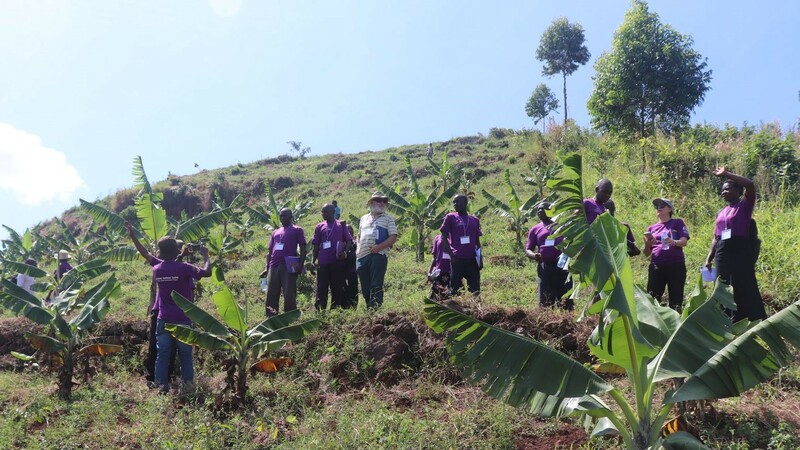 Thirty-four participants came together with Jason Alexandra, David Curry and Belinda Brennan from Australia Landcare International and the World Agroforestry Centre to present training with local Landcare facilitators in Manafwa, Uganda. The training was aimed at sharing knowledge and skills on how to work with local landholders to demonstrate and promote the adoption of sustainable techniques for land management. The training was also to assist the ACIAR funded Value Chain Innovation Platforms for Food Security (VIP4FS) Project, which is working with small farmers in Uganda and Zambia. In eastern Uganda, it is working to enhance income for small farmers from coffee, dairy and honey. This project and those that established Landcare in the region are transforming livelihoods and landscapes, building on knowledge that has benefited the Australian landscape since Landcare was established in the 1980s. Two days were spent looking at the inspiring Landcare work in the Kapchorwa and Manafwa Districts of Eastern Uganda – a tropical highland region of intensive agriculture. 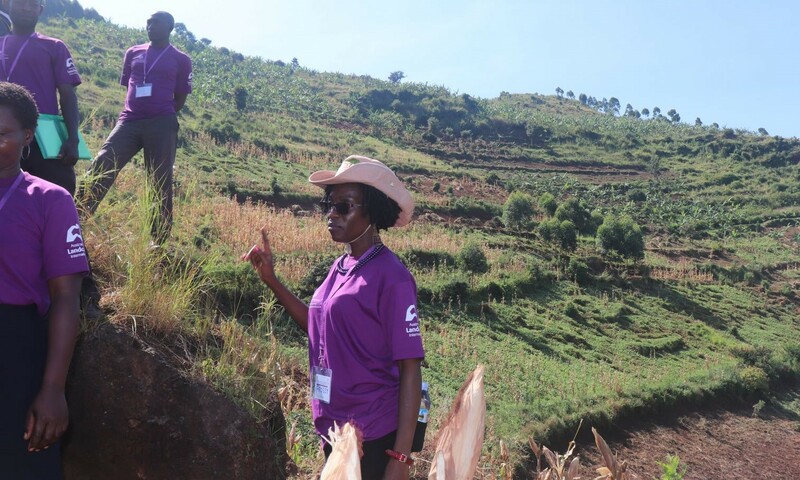 Kapchorwa District has an active Landcare network of 35 groups engaged in many dimensions of sustainable land use. Some valuable comments from participants, when asked what they would take from the training, include: ‘Be the first one to implement land protection measures so I can be a showcase for others’, ‘Make sure gender balance is observed’, ‘Work with my team to organise a meeting so that I can pass on what I have learnt’. This Landcare training was supported with funding from The Crawford Fund and ACIAR, and with logistic support from The World Agroforestry Center.